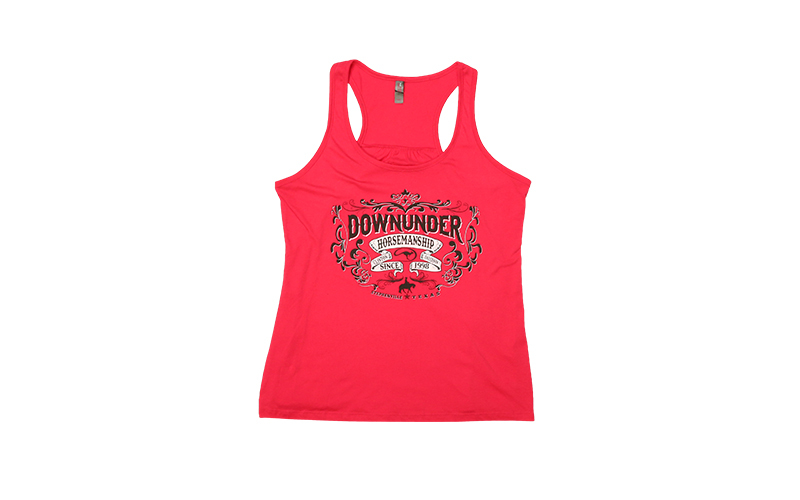 Our Texas Scroll Gathered Tank is perfect on its own or ready to layer. 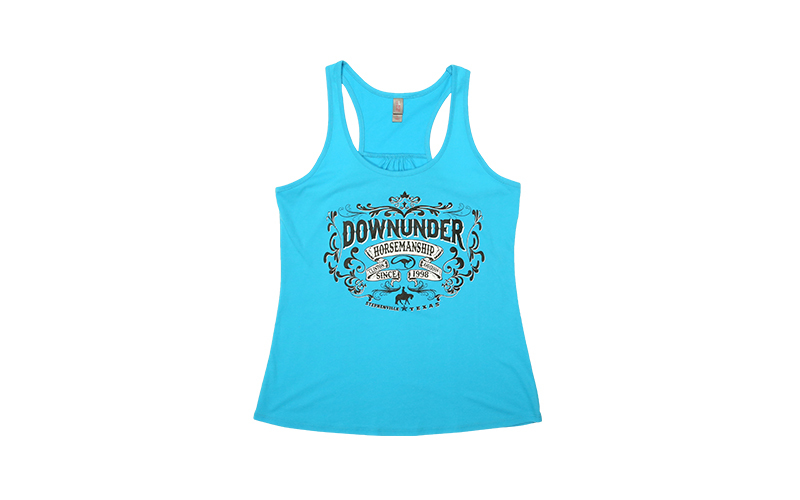 The tank features a printed Downunder Horsemanship graphic on front and gathers in the back for an updated look. Made out of 3.5-oz, 60 percent ringspun combed cotton 40 percent polyester.